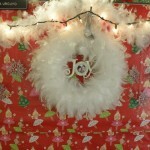 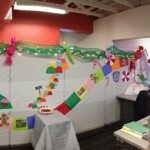 Maggie Rose, Nicole Barnes and Ana Rodriguez ignited a Christmas competition. 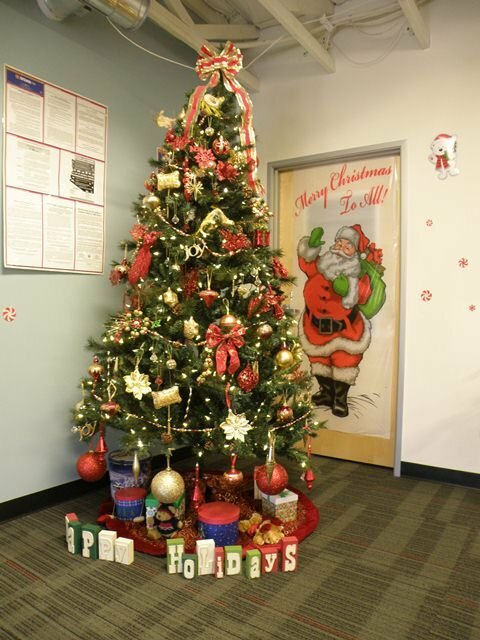 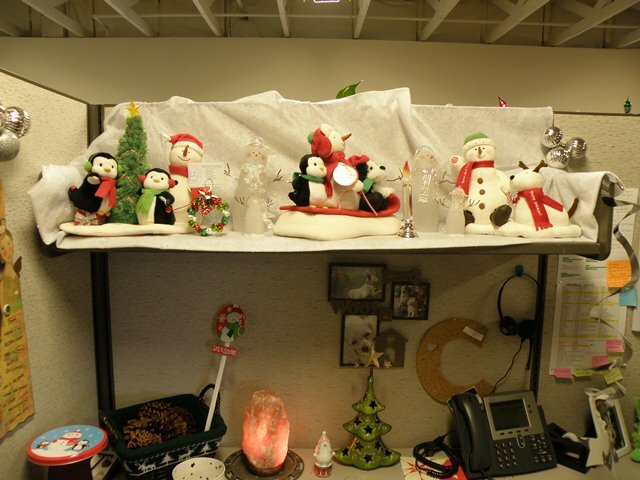 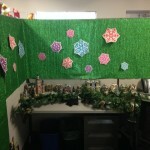 The trio, who work in Grand Canyon University’s Office of Academic Records in the Colter office buildings on the east side of campus, felt their office lacked holiday cheer last December without a single Christmas decoration adorning their rows of cubicles. 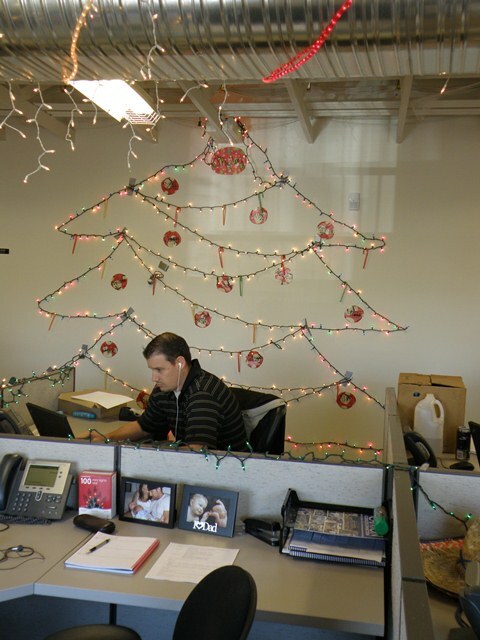 This year, they brought in miniature trees and lights to add some décor after Thanksgiving, which attracted a lot of attention. 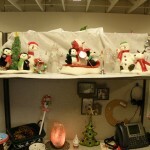 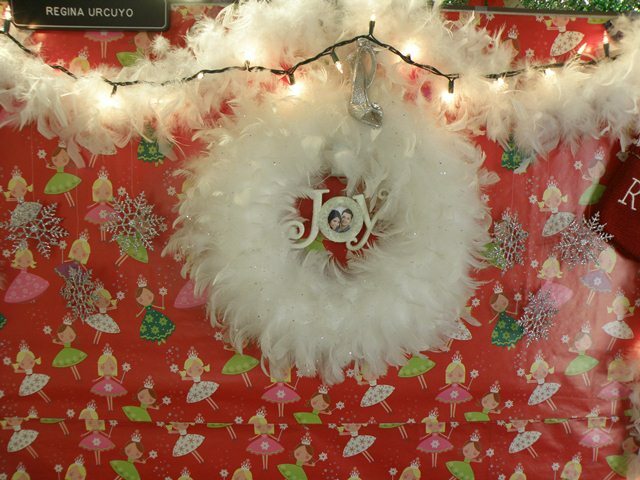 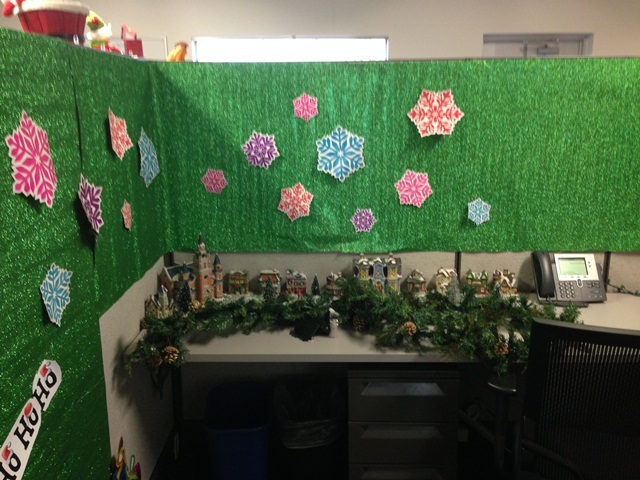 And soon a battle of lights, snowflakes and wrapping paper had erupted among Colter’s four departments for the best-decorated cube. 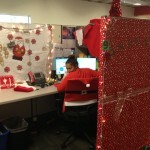 Megan Miller tipped off the Communications team that it was on. 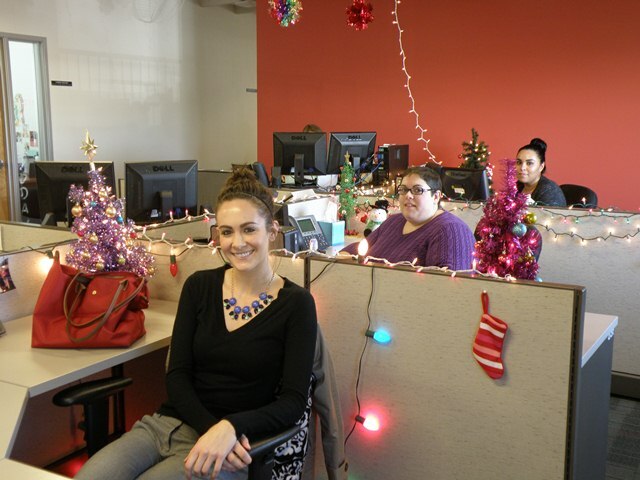 The Colter Christmas team of Maggie Rose (foreground), Nicole Barnes and Ana Rodriguez. 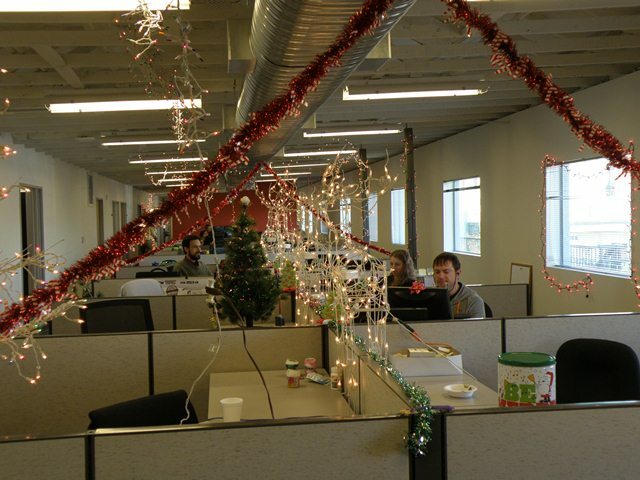 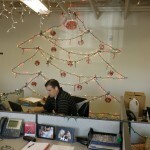 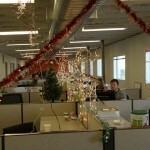 The Data Entry Team, with paper snowflakes hanging from the ceiling, plus presents and a 3-foot tree in the corner. 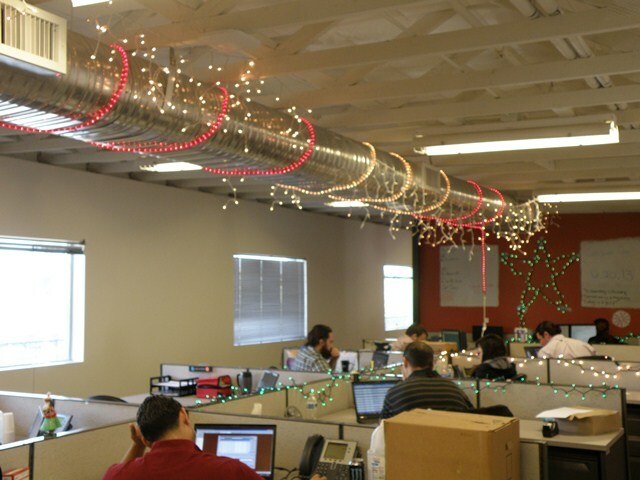 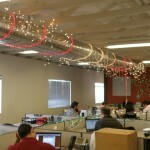 The Class Operations Team, with twinkling lights spiraling overhead. 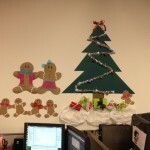 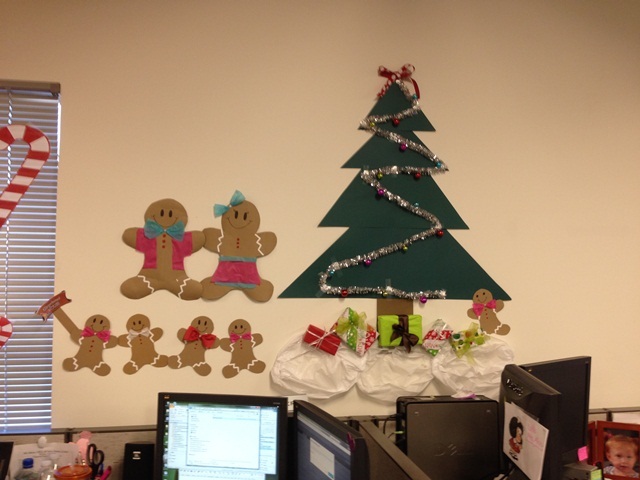 The Credential Evaluators team, with mini Christmas trees at their cubicles. 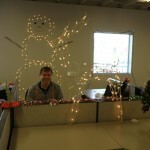 And the Degree Progress Audit team, with a 6-foot, fully-lit and decorated tree and snowman made of lights. 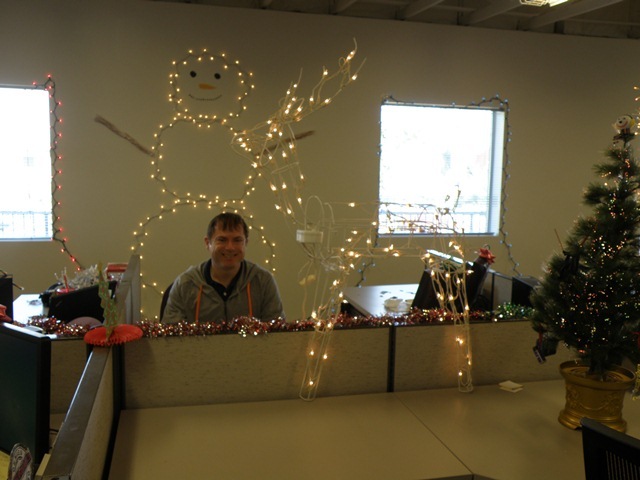 Sean Coffey of DPA brought in four mechanical, lit reindeer – which he calls ’Lopes – that prance across the team’s span of cubicles. 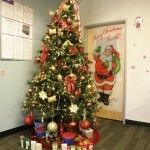 “I wasn’t decorating outside my home this year, so I decided why not be the best this year and I brought them in,” Coffey said. 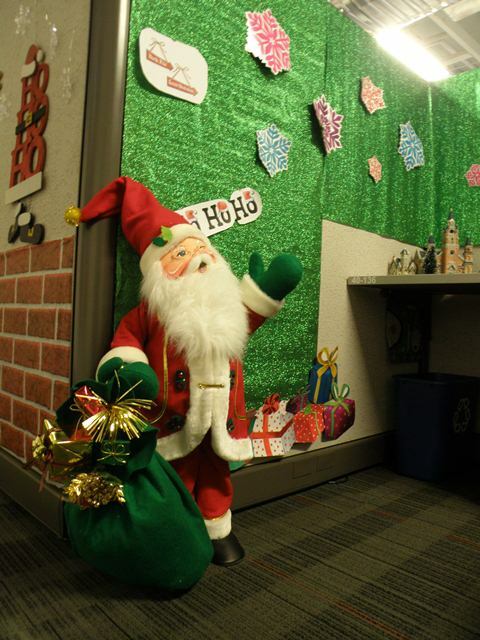 The Human Resources office, located next to OAR, also joined the festivities. 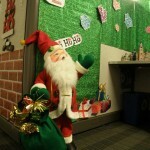 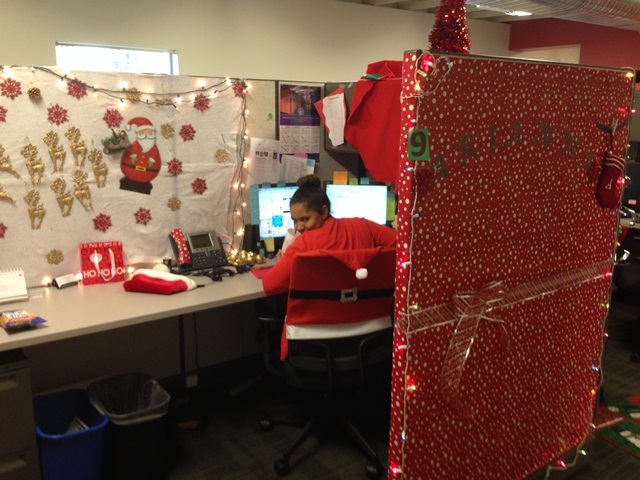 Their offices included Santa’s “naughty and nice” list, a Candy Land landscape and office doors coated in wrapping paper.